Don’t Quit! I Might Have a Relapse! I have a long distance friend, Marla who is a volunteer coordinator for a large hospice organization. She called me a while back and we chatted about one of her fellow volunteer coordinators, Amy. See, Marla fills in for Amy when she is on vacation and vice versa. They each manage about 80 volunteers in their respective areas. We all know that adding another full load, even for a week, is exhausting, but having to fit within another coordinator’s style can sometimes be, well, frustrating. Marla and Amy had back to back vacations, Amy first. Here’s what Marla told me happened. Are volunteers more impressionable than paid staff? Maybe. I suppose it depends upon their reasons for volunteering and their personalities. Is it wrong to manipulate them? Of course. 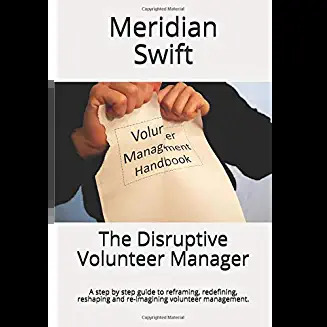 Volunteers should not know much about our personal lives, and certainly, not all that is going wrong or perceived to go wrong. As volunteer managers, our boundaries need to be pretty clearly defined. Hmmmmm. When retention becomes a problem, I may have to try the Amy management style! Hmmm…interesting. It seems that Amy has managed to wield her “stress condition” as weapon to guilt the volunteers into all of kinds of things, including staying past when their volunteer work is still making them happy. It *is* tempting to entertain the possibility of becoming a full-on histrionic drama queen with a terrible “stress condition” in order control the people around me–it seems like it’s working pretty well for Amy! Seriously though–Amy needs a new management style, as eventually, everyone is going to get fed up with her antics and leave anyway. Also, it’s unfair to the volunteers to be played like that. I try to find a fine line as far as how much to share about my own life with the volunteers. I don’t close them out completely; I think that sharing a little bit of yourself in a limited way is nice–it helps build trust and bonding if they know a little bit about you as a person. But I would never share about myself with the intent of manipulating, and I am careful about what I put out there for that very reason. I also *try* not look like a frazzled, stressed-out wreck even when I am. I’m not always successful with that! Well said! It’s nearly impossible to not look stressed even when we are, but you said it perfectly; share information to form a bond, but never to manipulate. I’m guessing the volunteers you manage are pretty healthy in their volunteering. Really interesting insights here concerning how (and how much) we share about our lives. These could apply to almost anyone in a managerial position, it seems to me. I know that as a Department Chair at a university I WAS often stressed and pulled in many directions – and no doubt sometimes I “over-shared” (as my children used to call it). I hope that I also worked hard not to guilt people into taking on too much or not making appropriate demands of me because I might be too “fragile.” I think we need to be vigilant about our own self care and boundaries here – and if we need some real time off or a different job or some additional training in management styles, we need to be ready to ask for it. For caring, sensitive people, positions of responsibility can be wearing, as we take in the feelings and burdens and emotions around us. I suspect that volunteers are particularly prone to pitching in to help when a coordinator seems over-burdened. After all, they’re already volunteering their time! The danger is that they too will burn out – or be afraid to leave when they know they should, because they don’t want to increase someone else’s stress. As always, thanks for this great blog! You have excellent insight! I remember a patient who, when the social worker visited, would only talk about the sad personal life of her nurse. It’s tempting to confide in our volunteers, but you are so correct about taking in the burdens around us. Our volunteers already are taking on the emotions of our patients and families. We don’t need to burden them with our problems too. Manipulation writ large, or what? The title of your post says it all. All management, of volunteers or other, engages some degree of pressure to conform, but to use it as an art form like Amy is a Very Big Ethical and Professional Transgression. 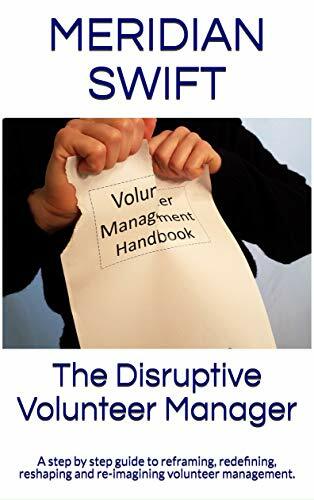 I am more curious about volunteers that let it happen – are they recruited selectively for their predisposition to excessive sympathy, or have they become brainwashed via Amy’s charisma? Either way, it’s not a good look for managers of volunteers. Thanks Sue, good point in wondering about the volunteers, it might help to say that these volunteers work in a care center, all pretty much talk regularly to one another because they live close to each other, so they have the team and family mentality (which is good unless it’s extreme). Amy also micromanages them, so that may play a factor too. This did develop over the course of several years too. Scary though, isn’t it?